Switching to natural and organic beauty and personal care products can be somewhat overwhelming, right? 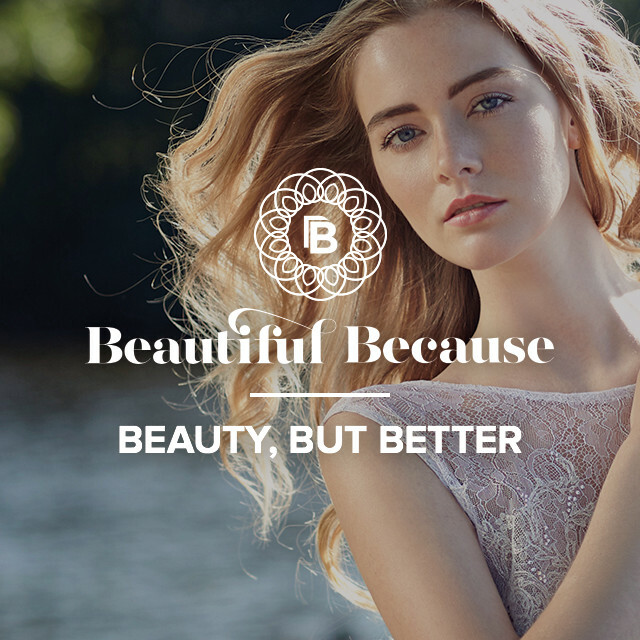 The mainstream beauty market is TOTALLY saturated with products that are fabulous at "green-washing" - so it's no wonder we are left totally bedazzled and continue to have a beauty cabinet full of toxic products (without even realising)! Greenwashing efforts can range from changing the name or label of a product to evoke the natural environment on a product that contains harmful chemicals, to multimillion dollar advertising campaigns portraying highly polluting energy companies as eco-friendly. It can make deciding on the best, healthiest option REAL gosh-darn confusing in all honesty.. 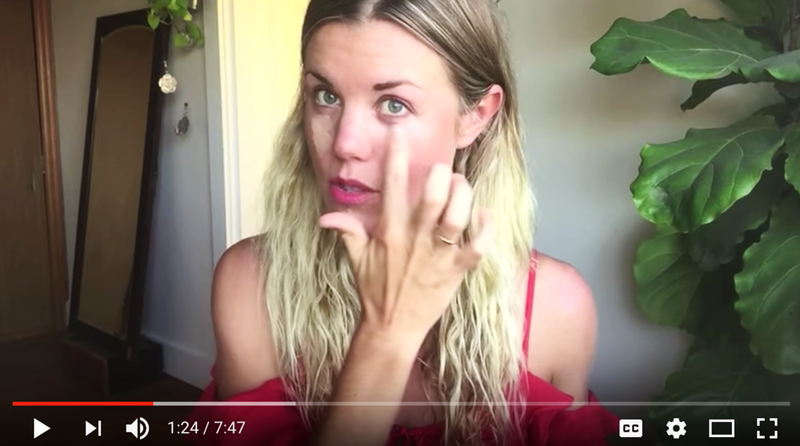 SO to make it easier for YOU to avoid being green-washed in the supermarket, I have put together a list of some of my favourite personal care items that truly are natural, organic, healthy and EFFECTIVE... because lets face it, no one is going to swap a mainstream product for a natural product unless it works, right!? A good rule of thumb is to always choose CERTIFIED ORGANIC where possible and to find a few brands or stores that you trust and stick with 'em..
You can rest assured that the below really ARE Natural and organic and they really DO WORK! Oh and don't worry, the only living mammals these products have been tested on are ME and my friends, families and clients.. NO ANIMAL testing product will ever make it onto my blog post features. Now this is one personal care product you don’t want to get wrong! Thankfully, after many failed (and slightly awkward) organic deodorant trials I stumbled across this guy (Black Chicken) - it WORKS BETTER THAN ANY OTHER MAINSTREAM DEODORANT I HAVE EVER USED. Seriously. No joke. Though I find there are two categories of people - the peeps who get B.O and the peeps who just dont get smelly..... SO - for the smelly pits out there (mine included), Black Chicken is for YOU! For everyone else who's pitts naturally smell like roses.. well Lavanilla is for you. This is the deodorant I use everyday!! Pretty much everyone I’ve recommended this product to have ditched their old deodorant and never looked back. It’s a little pricier than supermarket brands but its well worth the investment because it lasts for like 6 MONTHS!! Again, no joke. Unlike retail brands, AxillaDeodorant Paste is guaranteed to be free from aluminium, alcohol, petrochemicals, fragrance, talc and parabens. It’s a game changer because it WORKS. If you’re not into a paste deodorant and you dont get as smelly (or if you're part of the small minority that react from bicarb soda found in Axilla), then LaVanila’s Healthy Deodorant Range is prob for you. They have a beautiful choice of scents including vanilla, coconut and passion fruit and are perfect for sensitive skin. They are NOT as effective as BC but they do a better job than most other natural deo's. Mukti is another great roll on alternative to the Axilla paste. Its great as a unisex deodorant as its not overly feminine like the Lavanilla - it works well if you don't get much BO. Made with certified organic ingredients like AloeVera, Witch Hazel, Sage, Sandalwood it definitely gets a big fat tick of awesomeness approval. If you suffer from dry lips (kind of like every single person on earth) - I would highly recommend moisturising them with natural and organic products. All of the mainstream brands (yep even the old red lucas paw paw that we've all used for decades!) use a cocktail of petroleum, synthetic fragrance and harsh toxic preservatives that ultimately do the complete opposite to moisturising and protecting your shmackas. Hurraw has the most beautiful, affordable, creamy and organic lip balms around! They are super dooper hydrating and they smell delish! They also have an amazing "cherry" flavour that naturally tints your lips to add a touch of colour too.. and a SPF lipbalm for summer too. Winning! This is the natural alternative, petrolatum free option (unlike the Red Lucas paw paw that everyone in the world seems to use thinking its safe and natural - including me back in the day!). It comes in a nice big tube for those who eat paw paw balm and carry it on them at all times. Its certified organic and does the job! The consistency is quite thin though and I find you need to reapply quite often - so I personally prefer the above two options, but its still good none the less! I'm LOVING Weleda's Body moisturisers!! They have a few diff plant infused options like Evening Primrose and Sea-buckthorn. The biodynamin quality of the ingredients can be noticed in the scent of the moisturiser and the effects can be seen! Super nourishing and natural ingredients. I'm also a HUGE fan of their Body Oil mixtures, like Weleda's Birch Oil and Evening Primrose Oil - truly divine!!!!! Again, there's so many fabulous Natural Moisturisers out there - just go for CERTIFIED ORGANIC as often as possible! Ohh Emmm Geeee.. If you want a super special, hydrating, nourishing body oil that is infused with THE MOST beautiful essential oil blends then you have to try Be Genki. These body oils are lightweight, moisture-intensive and will help to soften your skin AND to calm or revitalise your senses with their amazing aromatherapy properties. Ok so you're going to start seeing a trend here.. Mukti and Weleda are currently my go-to's for face, body wash and skin care! Thats not to say that there aren't others out there that are great... I've just been lucky to trial a lot of their products and I LOVE THEM so I must share! Fabulous everyday face wash that's lightly foaming to really clean the face of unwanted makeup etc. The natural ingredients are deeply cleansing and balancing plant actives including calendular, aloe vera, rosemary and chamomile are used to remove impurities and makeup. Great for those with normal to oilier skin or those who wear more makeup that needs removing. Super gentle, milky cleanser that leaves the skin feeling super soft and hydrated. It doesn't strip the skin of its natural oils, just removes bacteria build up. The mild combination of natural ingredients - cold pressed jojoba oil, sesame oil along with witch hazel extract leave skin gently cleansed without drying our or stripping of natural oils. Great for those with normal to sensitive or dry skin. Beautiful to use either on its own or post Cleansing as a toner. It deeply cleanses skin of impurities and makeup with natural olive oil while revitalising with extracts of iris root and witch hazel. Its easier and best to use an organic cotton pad to use this product the same way you would a toner.. It leaves your skin feeling super clean, toned, fresh and hydrated! Oh and it smells utterly outrageously delicious (they all do really!). Ab-fab two-in-one cleanser and toner. Im a BIG FAN of face oils as moisturisers (its basically all I use on myself when I'm not testing out new products for ya'll). I love jojoba, rosehip, argan, sweet almond and many other oil blends - especially love Mukti's Antioxidant Face Oil for a lightweight yet SUPER hydrating blend - FIND HERE! Weleda also has a fabulous Sweet Almond Face oil for sensitive skin FIND HERE! If you want a moisturiser option though - below are good choices in my books! 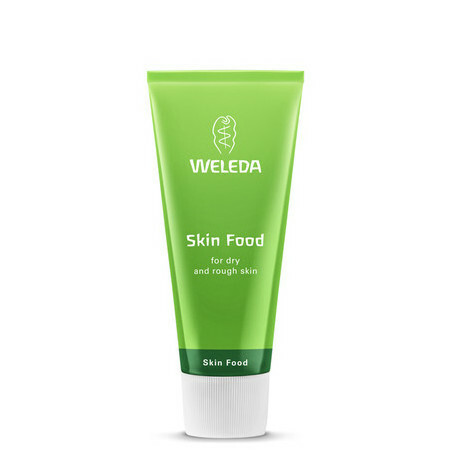 Weleda have a whole range of great body moisturisers, but their most popular and well known is definitely, ‘Skin Food’, for good reason! It’s made from 100% natural and bio-dynamic (organic) ingredients such as organic chamomile, wild pansy, enriching lanolin, sunflower and almond oil. The best bit is that its perfect for use anywhere on the body, face, hands, elbows, knees or anywhere that needs extra nourishment and repair. You can purchase it for $20. It’s a no brainer really. This is the bees knees of super light-weight moisturisers for balancing oily skin. It is enriched with hazelnut, avocado, evening primrose and rosehip, it nourishes and hydrates without clogging pores or leaving an oily residue. It also smells like utter heavenly roses! This is my all time fave - I've used it for years! It seriously leaves my skin feeling super clean, smooth and smelling delish (some people don't love the herbal smell, you get used it though!). It's made with the most incredible mix of coconut, hemp and olive oils, black soap and shea butter. It leaves you skin feeling silky soft and it lasts for aggeees. Its also helped to clear my partners eczema. If I run out of Dr Woods, I use either two of the below mentioned. There are SO many great natural body washes out there though - these are just a few of my favs. 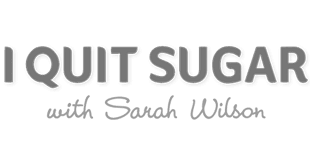 Unfortunately you need to order online from overseas - or its also stocked at The Suveran or BU Organics in Bondi. I love these creamy, milky body washes - they come in several scents/natural flavours and they work beautifully without stripping the skin ... they also smell stunning! This vegetable based formula is free from synthetic fragrances, colours, preservatives and raw materials derived from mineral oils. It also comes in a citrus scent and at at $17.95 is cheap as chips (well almost). An old faithful that is always easily accessed at local health food stores and also online. It's gentle, affordable and does the job nicely too! Protecting your skin from the sun is probably the best way to keep your skin looking fresh and youthful. Many ‘anti-aging’ products claim to prevent aging purely because they contain an SPF. What they don’t tell you is that they also contain a bunch of chemicals that will actually damage your skin over the long term. So I would highly suggest investing in some decent sunscreen ladies! Your future-self will thank you for it. This is the best natural sunscreen I have tried when it comes to consistency. You see, natural sunscreen is thicker and whiter than the mainstream stuff (due to lack of toxic thinning chemicals used to create convenient, fast absorption). Soleo is a multi award winning lotion made from natural oils, botanical extracts and antioxidants that protect and nourish your skin. It costs around $30 but is fab if its in your budget. If you want a slightly cheaper option, Wotnot costs around $20 and does an equally amazing job on the sun protection effectiveness.... Its just a little on the thicker side consistency wise. It does leave a slight oily residue, though I think its mainly due to all of its beautiful moisturising ingredients so I'm totally A-OK with it! The active ingredient, zinc oxide, is combined with nourishing sesame oil, grapeseed oil, beesewax, shea butter and vitamin e to keep your skin nourished and protected against those harsh rays. So, guess what? Pretty much every mainstream brand of tampon uses cotton that has been sprayed with pesticides! Eeek. Not Good my friends, not good. 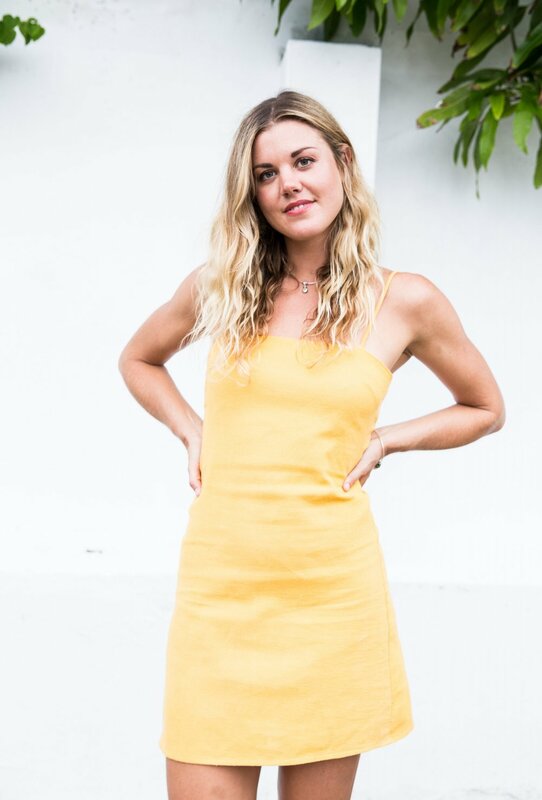 Some don’t even use cotton at all and opt for cheaper synthetic materials such as rayon or viscose. Now when you add artificial odour neutralisers, adhesives, polyethylene (PET), polypropylene, and propylene glycol (PEG) into the mix the results are just plain nasty...... I needn't say more - apart from USE ORGANIC TOMS! 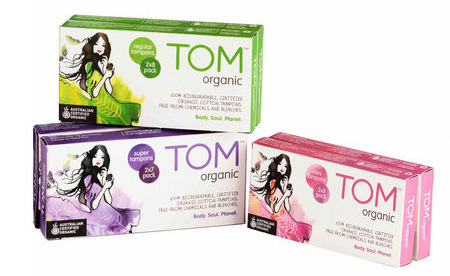 TOM Organic’s feminine hygiene products are made using the highest grade of pure, organic cotton. They are soft and comfortable to wear and allow your body to breathe naturally. They also support organic and sustainable farming practices, reducing the amount of toxic pesticides that enter into the environment and pollute the air. TALK ABOUT AWESOME? You only get one smile so you might as well make it a good one! Most of us (hopefully) brush twice a day so finding a toothpaste that isn’t full of aluminium, fluoride, sugar, Sodium Lauryl Sulphate or parabens is super duper important. Red Seal is the bees knees as far as affordable, natural toothpaste goes.. Its the closest I have found consistency wise to "normal tox toothpaste" .. Grants Toothpaste has a mild and pleasant taste that gently cleanses your teeth and gums while leaving your mouth refreshed. It is a little more on the subtle side and its a little jelly-like but it does the job nicely! It contains the beneficial herbs of Cardamon, Carraway, Celery, Coriander, Rosemary, Sage, Thyme, Dill, Eucalyptus, and Mint. HOT TIP - If you want to go the extra mile for your smile, try the PearlBar Bamboo & Charcoal Toothbrush - its 100% organic, biodegradable and eco-friendly! Well ladies, these six essentials should be enough to get you started! If you're ready to take the plunge and switch to all natural makeup as well you can read my reviews here.